GlaxoSmithKline plc (LON: GSK) and Merck KGaA, Darmstadt, Germany have announced that they have entered into a global strategic alliance to jointly develop and commercialise M7824 (bintrafusp alfa). M7824 is an investigational bifunctional fusion protein immunotherapy that is currently in clinical development, including potential registration studies, for multiple difficult-to-treat cancers. This includes a Phase II trial to investigate M7824 compared with pembrolizumab as a first-line treatment in patients with PD-L1 expressing advanced non-small cell lung cancer (NSCLC). 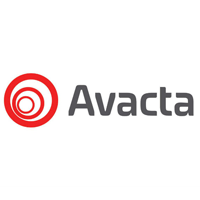 Avacta Group plc (LON: AVCT) principal focus is on its proprietary Affimer® technology which is a novel engineered alternative to antibodies that has wide application in Life Sciences for diagnostics, therapeutics and general research and development. Click AVCT GSK for the full archive.